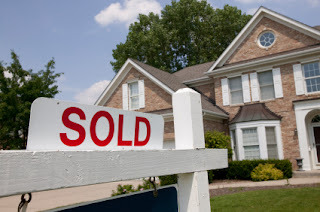 If you are a potential seller who keeps hearing "don't wait, list your home now! ", let me explain why. If you are a prospective buyer interested in investing in your own home and curious about the current market in Whitby, Brooklin, Oshawa or other areas in the Region of Durham, Ontario, then read on. Statistics show the average asking prices in Durham Region are up by an average of $5,000 and the amount of newly listed homes placed on the market has dropped by over 700 in the Durham Region area compared to the same month last year. Mix the lack of inventory with an escalating number of buyers (especiallly first time buyers) eager to purchase a home in time to enjoy the summer in their new backyard and you have quite a concotion. Compition for homes priced correctly and presented well is fierce; resulting in a surge of multifple offers and a deluge of frusterated buyers. Before long however, the tide will change and folks looking to buy will once again have plenty of houses for sale to choose from allowing them to be more selective. Therefore, if you are thinking of buying a home, you can be assured that the selection of homes for sale will improve and your dream home will be out there on the property market soon. And, if you are considering selling this year but your strategy thus far has been to wait it out...do yourself a favour and act now by getting that "for sale" sign up before everyone one else does and you are lost in the sea of homes for sale! Here is a compilation of the various Toronto MLS System statistics comparing March 2011 with March 2010. The Durham Regional area had 2013 Sales in March 2011 compared with 2293 Sales in March 2010. The average asking price for a home in the Region of Durham in March 2011 was $352,226 compared to $346,989 in 2010. The number of days it took to sell a home in Durham Region in March 2011 was, on average, 23 days compared with 19 days in March 2010. For MLS property statistics on Whitby, Brooklin and Oshawa, please visit my website at www.LJ4Homes.com where you will find more buyer and seller information. In addition, if you should have any Real Estate needs or questions, whether big or small, please feel free to contact me. I appreciate the opportunity and am always glad to help.